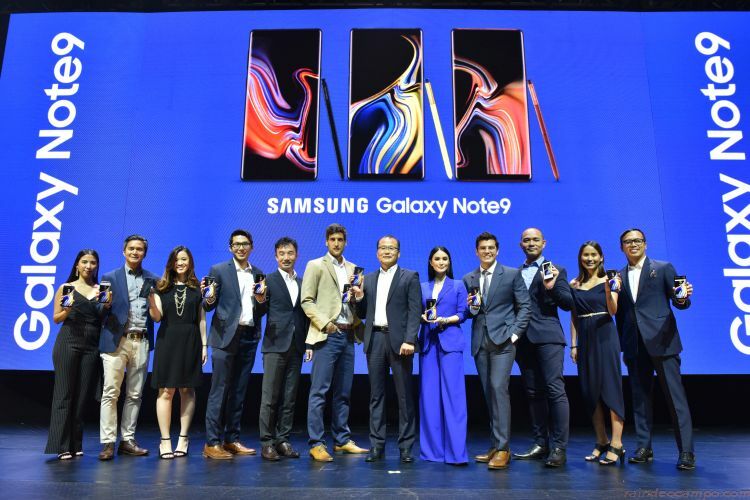 Samsung Philippines officially launched the new super powerful Samsung Galaxy Note9 held last Tuesday (August 14) at the Marriott Grand Ballroom which gathered media personalities, together with Samsung dealers and partners for an evening of exciting talks and a closer look at the tech giant’s newest flagship smartphone. 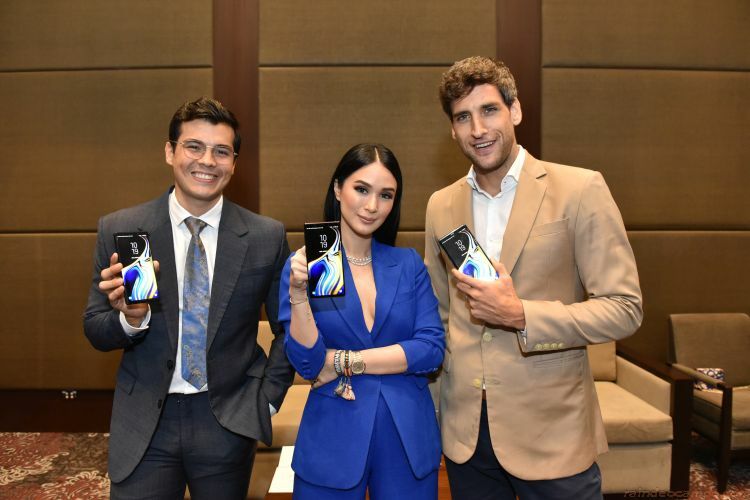 Hosted by Cesca Litton, the media launch brings together various Samsung representatives to showcase the powerful capabilities of the Galaxy Note9 and introduce its brand ambassadors: Heart Evangelista-Escudero, Nico Bolzico, and Erwan Heussaff. Taking the lead for SEPCO in the product demonstrations are Category Head for Flagship Smartphones Patricia Lee, and Product Marketing Manager for Note series, Ellie Huang. The well-loved feature of the Note series shows off its newfound capabilities in the launch. Now powered with Bluetooth, the Connected S Pen wirelessly controls the Galaxy Note9 within a 10-meter radius, allowing users to take group selfies, browse through photos and content, and activate other applications, all with just a few clicks. 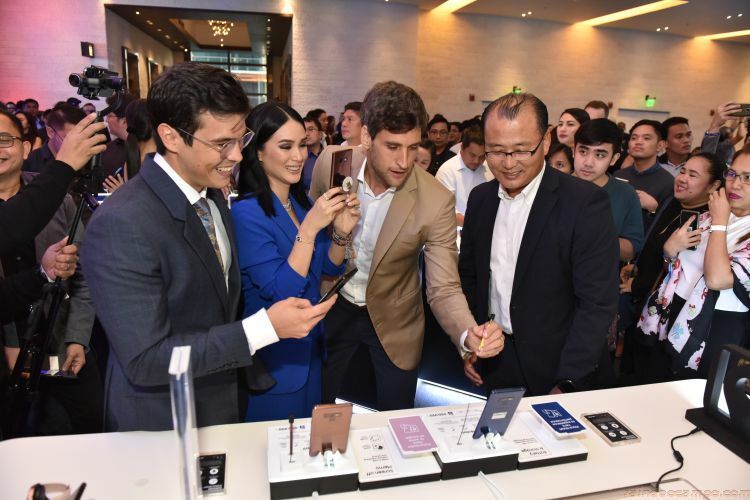 The event also boasts of the Galaxy Note9’s upgraded core performance features, which is perfect for those who relentlessly pursue excellence every day. The powerhouse device runs on a long-lasting 4,000 mAh battery, allowing one to accomplish more without worrying about energy consumption. Supporting fast and wireless charging, the smartphone goes back to full power with ease, ready to take on more tasks. Running on a 10 nanometer Application Processor, the Galaxy Note9 offers seamless performance and speed. Multitaskers can send emails, edit presentations, and stream content on-the go, with faster loading and transition times within applications. The Galaxy Note9 also sets a new standard with its pioneering 128GB base storage and a pre-order exclusive 512GB variant. Both units support expandable memory, allowing users to carry as much as 1TB of data in a single device. The Galaxy Note9 also utilizes Samsung Knox, the company’s mobile security platform, to keep important documents and large files secure anytime, anywhere. For the Galaxy Note9, the camera gains Real Time Intelligence, elevating the standout feature even further. With its Auto Scene Recognition, it detects up to 20 unique scenes and automatically optimizes the photo depending on the conditions or subjects being taken. It can also report flaws, allowing users to snap professional-looking shots. With the biggest screen among all Samsung smartphones, the Galaxy Note9 provides the best viewing experience with its 6.4” Super AMOLED Infinity Display. The device also sports a sleek square design with diamond cuts at the edges. Available in Ocean Blue with a Pearl Yellow S Pen (128GB & 512GB), Metallic Copper (128GB), and Midnight Black (128GB), the Galaxy Note9 champions sophisticated and elegant design. All pre-orders will come with NanoFixit Screen Protection with one-year insurance of up to 10,000 Pesos. Get an additional 10% discount on the total bundle upon purchase of special add-ons such as the new Samsung Galaxy Watch and/or Samsung Galaxy Tab S4.